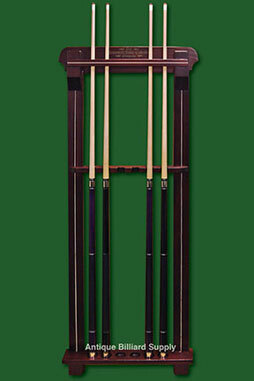 #5-25 Compact antique cue rack of a design that can compliment many models of Brunswick antique pool tables. Slotted center section and top retaining bar hold cues securely. Vertical trim pieces of holly on each side. Solid birch with dark cherry finish. Holds six cues.